Fancy taking a lesson from one of rock's most well respected players? 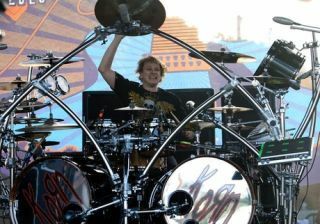 Then take a look at this awesome clip of Ray Luzier. The Korn drummer broke down the beat to 'Oildale' during a chat with BareBonesMusic.com. You can see what he had to say below. For more from Ray, look out for the Summer issue of Rhythm (on sale 3 August), in which he tells us all about recording the new album and we get an up-close-and-personal look at his killer Pearl/Sabian set-up.